Ever notice that some of your Google results have a little lightning bolt next to them? This means they’re part of Google’s AMP project. 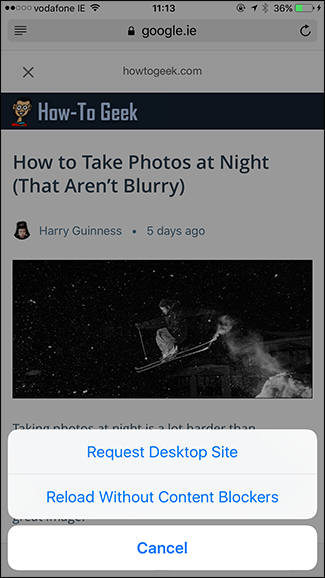 Google’s Accelerated Mobile Pages (AMP) project works like this: Instead of getting sent directly to a web page—say, our article on how to take photos at night—you get taken to a copy on Google’s servers. 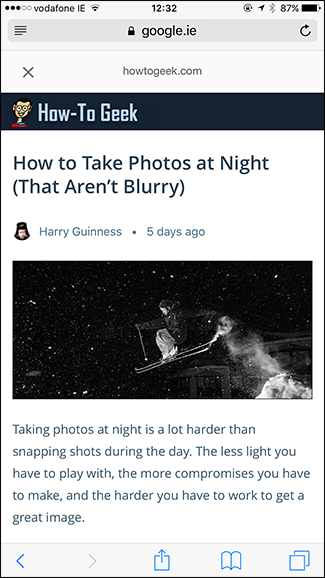 The URL is https://www.google.ie/amp/www.howtogeek.com/282487/how-to-take-photos-at-night/amp/?client=safari instead of https://www.howtogeek.com/282487/how-to-take-photos-at-night/. This only happens on mobile devices, and only for sites that have agreed to participate in this project. But what’s the benefit of this, and how can you get to the site you were trying to visit if you want the AMP-less version? Let’s take a look. At How-To Geek, we’ve spent a lot of time optimizing our pages to load quickly so you shouldn’t see too much of a delay. But a lot of more poorly designed websites haven’t. 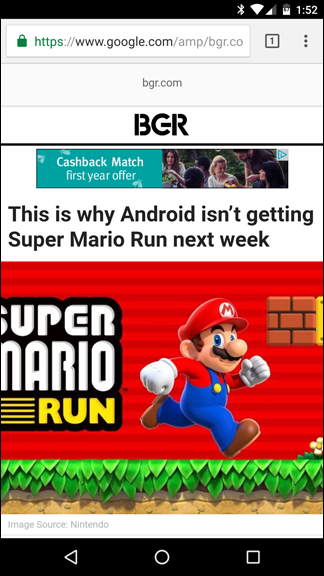 This is a problem, especially on mobile. 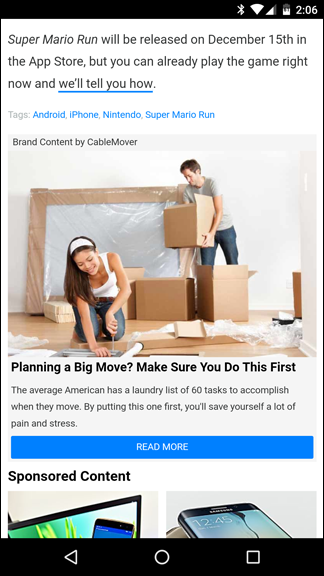 Even if you have a fast internet connection, it can take a couple of seconds for these pages to load. Mobile connections are often even slower than that. This is where Google AMP comes in. Take the following news site, for example. 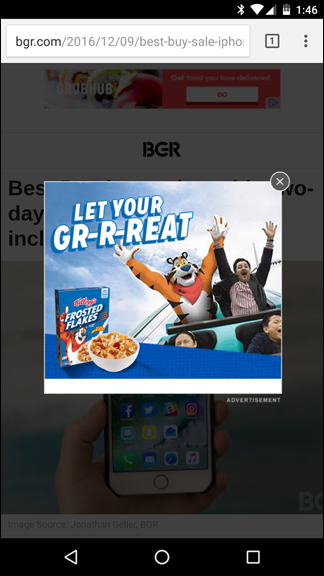 If I load the normal site on an Android phone, I either get a pop-up overlay ad, or an enormous ad that requires me to scroll through it before I can read the article (on top of the regular ads throughout). 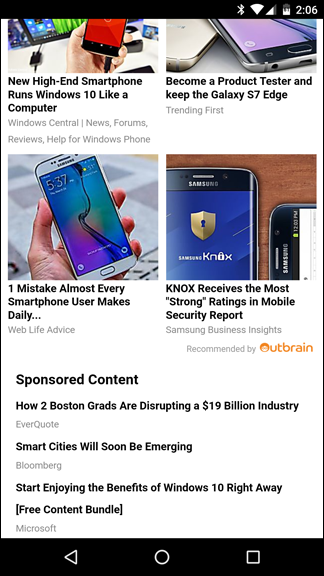 And, at the bottom of the article, I get a swath of different advertisements for articles “around the web”—over two screens’ worth. 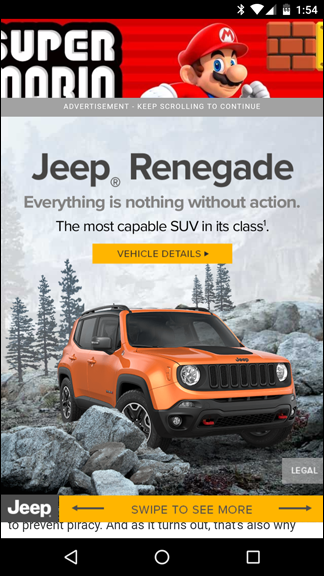 On the Google AMP page, however, ads are much more subdued—just a few small banners, with no extra junk at the end—just the end of the actual page, showing the site’s official trending list. Isn’t that better? 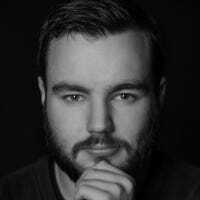 There are a couple of ways to tell if you’ve been sent to a Google AMP page rather than directly to the original website. In addition, once you click, the URL bar will have a Google address instead of the original web site’s. You’ll see a bar across the screen that has the original URL. Tapping the X takes you back to Google Search. 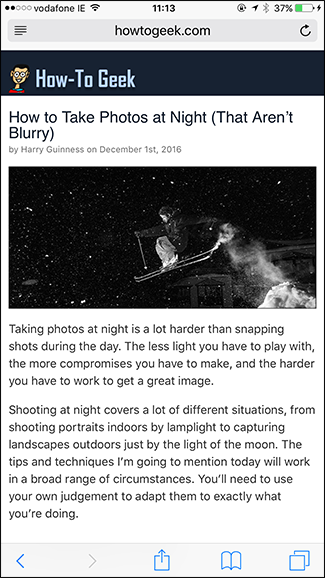 Below, the image on the left is the AMP version of our night photography article, and the image on the right is the original mobile version from howtogeek.com. There is no way to turn off Google AMP. If you visit an AMP enabled site through a Google Search, you’ll be taken to the AMP version. 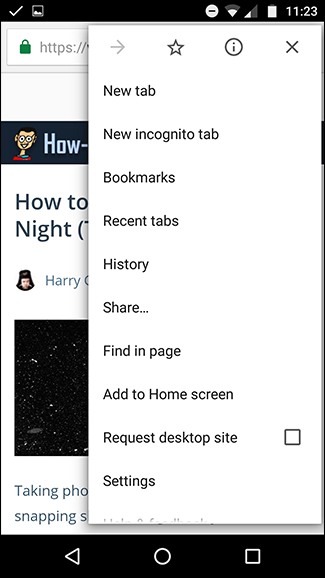 To get to the main site instead of the Google hosted copy, you can request the desktop site through your phone’s browser. In Safari for iOS, long-press on the page refresh symbol in the address bar and tap the Request Desktop Site button. In Google Chrome on Android, go to the Menu and then check Request Desktop Site. On Windows and macOS, you won’t see AMP results in Google Search; any AMP links you follow automatically redirect to the main site. You can also redirect yourself to the main site just by following any link on the webpage. 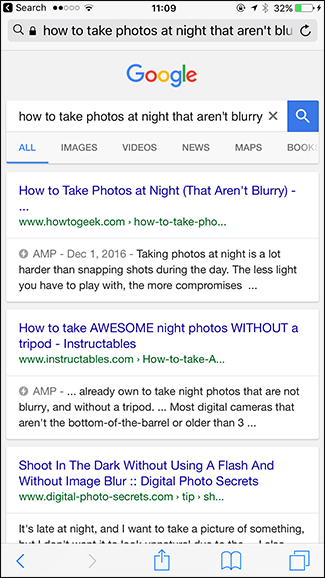 Google AMP only provides the first page you visit through Google Search. Any others come directly from the main site. 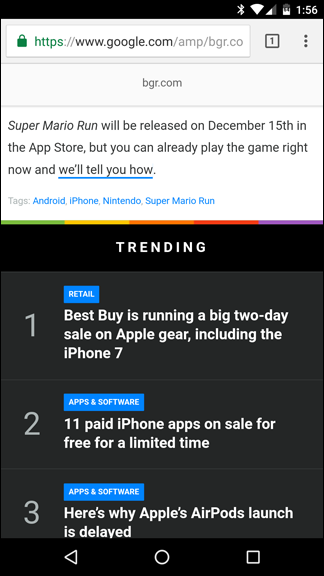 Google AMP makes the web a little quicker to use. Many major publishers have enabled it. It makes their sites faster for readers and saves them money on hosting.